This Halloween season lobbyists for candy companies are ringing doorbells on Capitol Hill, dressed as victims of Federal price controls. Their boogyman: a three-decades old farm program that props up domestic sugar production. 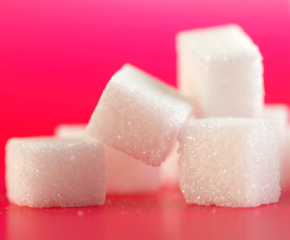 Advocates of the USDA’s “Sugar Program” claim it saves American farms and American jobs. Opponents see it as nothing more than outdated government meddling in the market that bumps up costs to companies and consumers, and they are pumping millions into lobbying for its phase out. Implemented as part of an omnibus farm bill in 1981, the USDA’s “Sugar Program” maintains stringent price and import controls over the sweet commodity. Advocates of the program, led by the trade group American Sugar Alliance (ASA), which represents sugar growers and processors, argue that without strict regulatory oversight the American food market would be flooded by imported sucrose, imperiling American farmers while creating an unstable dependency on foreign producers. Additionally the ASA notes that critics of the Sugar Program, such as candy manufacturers, already enjoy massive profitability. Profits on the sale of chocolates over the Halloween period are estimated to be 1.5. billion dollars in the U.S. alone. This is a theme picked up by health and nutrition advocates who argue that with sky rocketing rates of childhood obesity and diabetes Congress should not be focused on inflating the coffers of candy companies by making their products any cheaper. Candyland has its own trade groups, among these the National Confectioners Association (NCA), whose membership includes industry giants like Mars Incorporated. Manufacturer of M&Ms, Snickers, Skittles, and just about every other treat that fills the pumpkin bucket, Mars has already dropped 1,360,000 on lobbying in 2012, much of that driven to unwinding the Sugar Program. The NCA’s advocacy appears to be slowly winning the argument, most vitally by bringing around more and more Democrats to the idea. 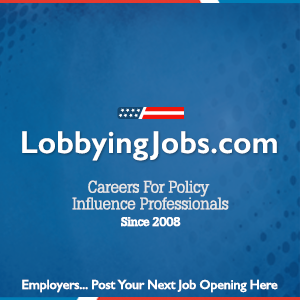 Providing a lobbying assist to the NCA and its member companies are conservative pressure groups like U.S. Chamber of Congress and the Club for Growth. This advocacy has moved the needle. When renewal of the Sugar Program came up in the Senate in 2001 its opponents mustered a modest 21 votes. This year a bipartisan amendment to the 2012 Senate Farm Bill that would have finished off the program, sponsored by Sens. Jeanne Shaheen (D-NH) and Pat Toomey (R-Pa), failed by the much narrower margin of 50-46. With such a tight vote in the Democratic controlled Senate, the NCA and its allies are optimistic about the prospect for reform when the Republican controlled House moves on similar legislation this fall. Indeed if Republicans do sweep November’s election then 2013 might be the year that Congress finally finds its sweet tooth for the candy industry.